It is five years since BNP Paribas became the first bank to acknowledge its risk of exposure to sub-prime mortgages, marking what is now universally recognised as the start of the credit crunch. Hindsight is a wonderful thing, however, and many at the time refused to countenance the scale of impending disaster until a year later and the announcement that Lehman Brothers was filing for bankruptcy. Liquidity dried up on both sides of the Atlantic, besieged banks were no longer lending, and virtually all talk was of risk aversion and consolidation. A quick look at the cruise industry in the years following 2008 might have suggested that heads continued to be buried in the sand. Operators across the sector were launching new ships at an unprecedented rate with at least ten ocean-going ships christened annually up to and including 2010. "While the newbuild segment struggles, it is fast becoming a boom time for the renovation of ships." Of course, this said more about the lifecycle of the build process than anything else; these vessels had been predominantly ordered and financed during sunnier financial climes prior to the economic crash. In 2011, the number fell to eight. This year it will be just six and there are only three significant projects confirmed for 2013. This situation has forced operators to think afresh about fleet enhancement and, while the newbuild segment struggles, it is fast becoming a boom time for the renovation and revitalisation of ships, both in terms of activity and ambition. One project is causing more of a stir than most. When Gerry Cahill declared that his company had "never done anything of this size before" regarding the announcement of a $155m overhaul of Carnival Destiny, the Carnival Cruise Lines president and CEO was not engaging in hyperbole. Even by the standards of the industry’s largest cruise operator, a revamp on this scale represents unchartered territory. This will be the grandest step taken so far in Carnival’s Fun Ship 2.0 programme, a multiyear $500m initiative announced in October 2011 that incorporates new dining, bar and entertainment features, and has already seen the Conquest-class Liberty undergo significant enhancements, with sister ships Glory and Conquest following it into the shipyard later this year. Two further ships are scheduled for renovation in 2012 and the first phase of the programme incorporates the revitalisation of 14 ships in total before 2015. "Destiny’s maiden voyage stretches back to 1996 and getting the vessel fully up to 2.0 standards represents more of a challenge." It is a strategy that resonates with these more straitened times, but the scale is as epic as anything witnessed prior to 2008. While Liberty, Glory and Conquest were all christened between 2002 and 2005, Destiny‘s maiden voyage stretches back to 1996 and getting the vessel fully up to 2.0 standards represents more of a challenge. It was the first in Carnival’s Destiny class and, in terms of gross tonnage, entered service as the largest passenger ship ever built. Destiny‘s first extensive refurbishment was undertaken in 2005 and more upgrades were introduced in 2010, but the scale and ambition of this project comes close to blurring the lines between the disciplines of newbuild and refurbishment. A 49-day drydock with Fincantieri is pencilled in for early 2013, with the newlook vessel to debut in April 2013. Not only will it boast a plethora of new services and amenities, but the refit will also incorporate a reconfigured layout, the addition of a partial deck and the expansion of two other decks within the forward section of the ship. 182 cabins are also being added – including 96 spa staterooms – bringing its capacity up to 3,006, with all existing cabins being fully revamped to feature ‘tropical decor’ – a combination of bright colours and pastels in a nod to the ship’s year-round Caribbean itinerary from November 2013. The redesign is so extensive that the ship will be rechristened Carnival Sunshine prior to launch, although some sceptics have suggested that the increase in capacity might make ‘Carnival Density’ a more appropriate moniker, citing the fact that the bulk of new accommodation will be installed in locations previously used for entertainment and public spaces. 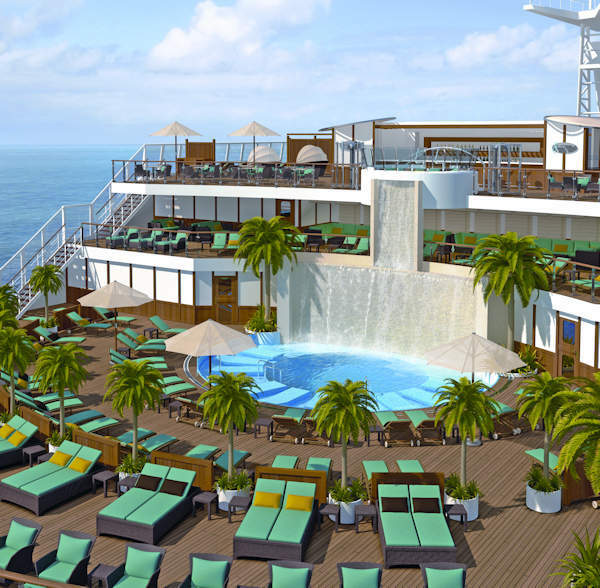 "182 cabins are being added – including 96 spa staterooms – bringing Destiny‘s capacity up to 3,006." The main theatre will lose a deck and what was formerly an outdoor mini-golf course and children’s entertainment area on deck 12 will also be lost. Down on deck five, the Criterion Lounge, its neighbouring Downbeat Jazz Bar and the Apollo Piano Bar will all be replaced with staterooms. This certainly helps in terms of fuel efficiency – far more of a design factor in 2012 than it was in 1996 – and the operator insists that additional accommodation will not have a significant impact on public space. The array of new amenities being added is certainly impressive and Cahill sounds bullishly confident: "This is our most ambitious ship conversion to date and will radically transform Carnival Destiny into essentially an entirely new ship, offering a variety of exciting dining and beverage options, spectacular outdoor spaces and entertainment options, and onboard innovations not available anywhere else." 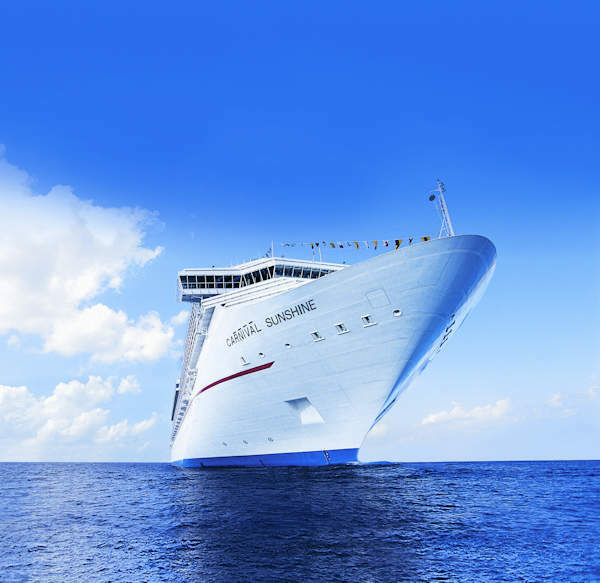 The launch of Carnival Breeze in June – Carnival hasn’t completely left the newbuild business behind – marked a great opportunity for the industry to see the operator’s vision for the future of cruise ship design and the standards to which it hopes to elevate its existing fleet. "This will be the first major revitalisation programme undertaken at Carnival since the departure of naval architect Joe Farcus." Particularly noticeable is the development of specific onboard neighbourhoods, distinguished through design and service offerings, that is such an integral part of the Fun Ship 2.0 programme. "We want these spaces to create memorable experiences for our guests," explains Cahill. 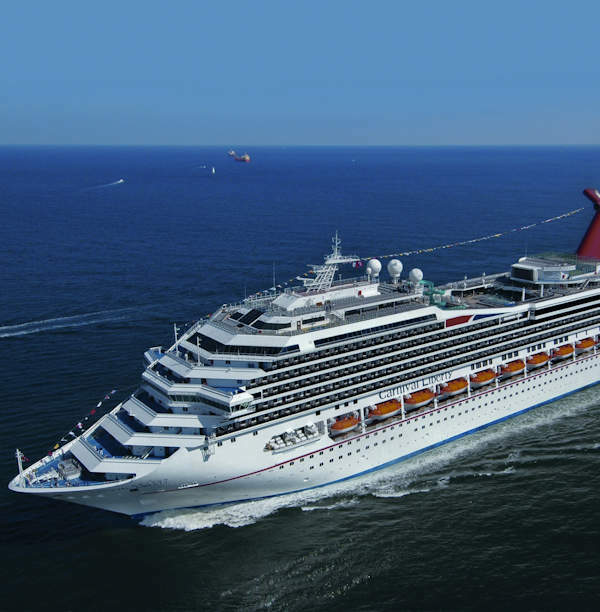 It is also interesting to note that this will be the first major revitalisation programme undertaken at Carnival since the departure of naval architect Joe Farcus, the man responsible for the look of every Carnival ship at sea prior to Breeze and whose ‘Farchitecture’ had come to help define the brand for so long. His flashy, opulent signature style might be interpreted as ill fitting in a time of austerity, and the suggestion is that Carnival is moving towards something more modern and muted. 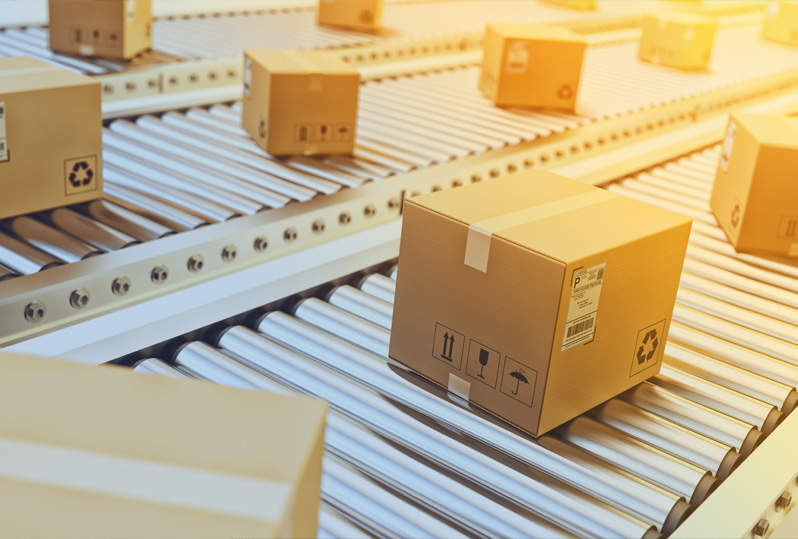 In this brave new world, the financial climate may continue to dictate behaviour, but there are promising signs that it is yet to fully stifle innovation and ambition.